NO. You cannot give your cat almond milk even if it is unsweetened nor any of its variations available in the market (including vanilla, coconut, etc.) since none of these are safe for them. 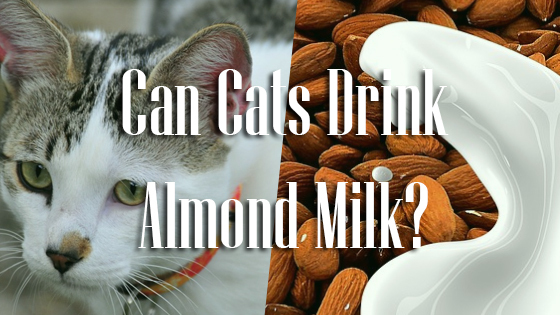 Although milk extracted from almond is not toxic to your kitty, nor is it a dairy product like cow or goat milk, nonetheless, almond is seen as one of the names in the ‘dangerous foods for cats’ list. Let us discuss how and why. 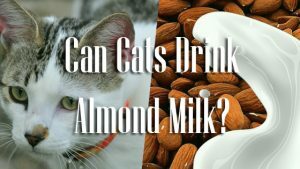 Despite the fact that almond milk is lactose-free, it is not safe for cats as many are allergic to almonds (like various other nuts), and you might not be aware of it especially if it is still a kitten. Almond milk can contain such bacteria that your cat’s stomach can’t break down, eventually leading to stomach upset and loose bowels. Another big concern is the high amount of calories in this milk. While obesity is a big issue among felines, added calories might put their health at stake. An average 10-pound cat is in need of around 200 calories daily, and just a cup of almond milk is loaded with 100. Again, many packaged almond milk is sweetened, and offering it to your cat would only mean, supplying extra sugar to their bodies, further enhancing weight gain as well as tooth decay. Artificial sweeteners are also not good for them in general, and above all, cats do not have the taste sweet in their tongue. If your kitty consumes almond milk, do not panic, since your cat won’t die drinking it, rest assured. Instead, wait and watch out for any symptoms in the next couple of hours. In case of any, take them to the veterinarian and act according to his/her advice. Published on January 19th 2018 by admin under . Article was last reviewed on 19th January 2018.